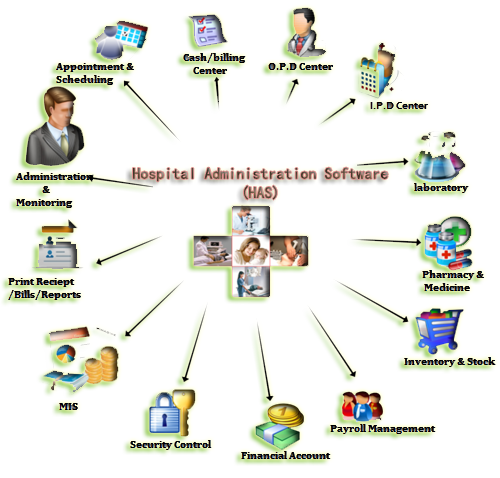 Hospital Administration Software (HAS) is the most powerful, efficient and versatile web based ERP for Hospital Management/Information System. It is designed for small to large and multispecialty hospitals, to cover a wide range of hospital administration and management processes. It is an integrated end–to-end Hospital Management System that provides relevant information across the hospital to support effective decision making for patient care, hospital administration and financial accounting in a seamless flow. 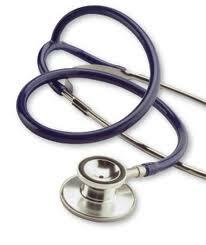 This Software addresses all major functional areas of Hospital. The development environment ensures that HAS has the portability and connectivity to run on virtually all standard hardware platforms, with stringent data security and easy recovery in case of a system failure. Administrator control of entire system. Greater efficiency in hospital management. Cost effective with high ROI. We are glad that we have been given an opportunity to serve you. To serve you in your upcoming campaign, we request you to release your payments to the following bank. For Netbanking Transfer refer the following details.